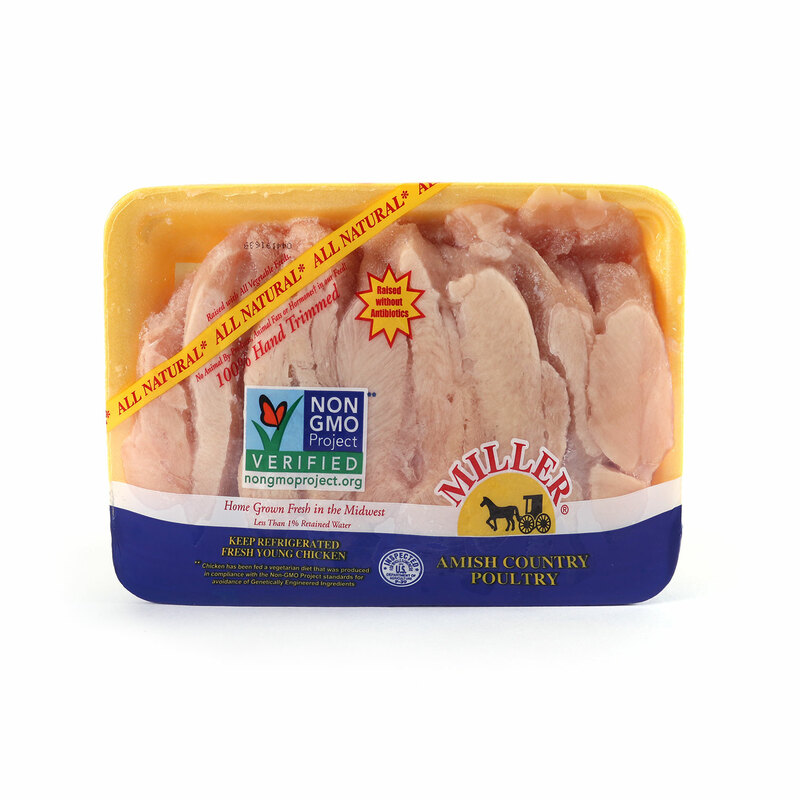 Antibiotic-free and hormone-free chicken from Indiana. Miller Farms' chicks are hatched at their own hatchery and placed primarily on Amish family farms in northern Indiana. The birds are raised inside naturally ventilated, curtain sided, houses and are free to roam on open floors. They are fed an all-vegetable, drug free diet and are hormone-free and antibiotic-free. All natural chicken, no artificial ingredients. 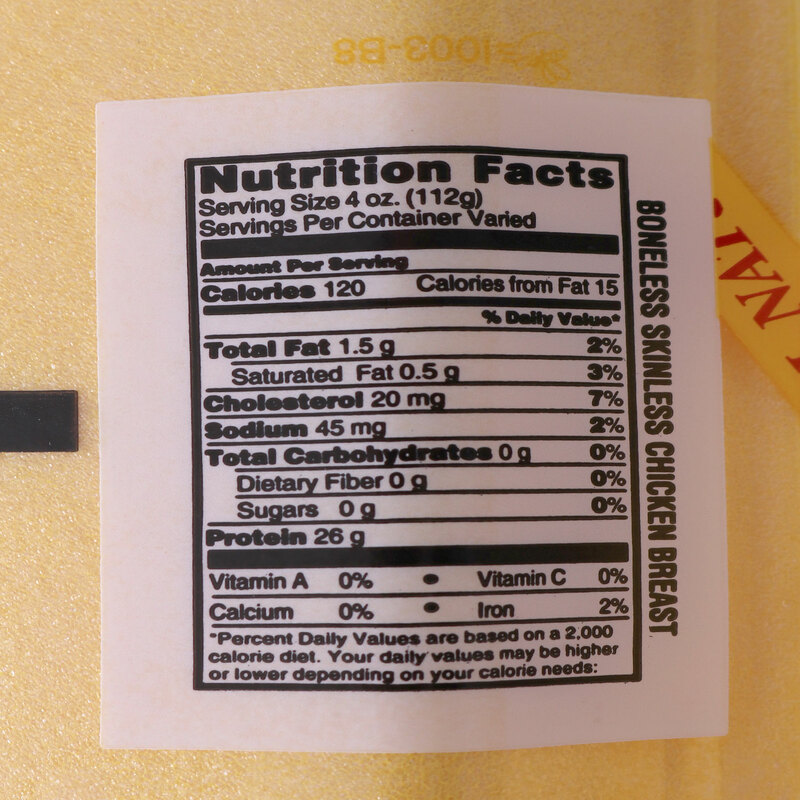 Non GMO Project Verified - Chicken has been fed a vegetarian diet that was produced in compliance with the Non-GMO project standards for avoidance of genetically engineered ingredients.